At Aurifil, we are known for our 100% Cotton threads. They take center stage and often command most of the attention. As a result, it’s possible that you may not have heard about our Monofilament thread. We think it’s pretty remarkable — so, please allow us to introduce you! Like our Cotton threads, Aurifil’s Monofilament Invisible Thread is produced in Italy. It is 100% Nylon and is available in two colors: smoke and clear. Both colors are available in two sizes: a large spool with 1,094 yards (1000 meters) and a cone with 16,400 yards (15,000 meters). If there is a need to have monofilament on the backside, you can also use it in the bobbin, but in that case, we recommend hand-winding. Top tension should be lowered to at least 2.0 on a home sewing machine and as necessary on a long arm. A slightly larger stitch will also guarantee an excellent result. Straight wound or stacked spools should be drawn from the side vs. the top. We like to think that the Monofilament is the unsung hero of a project. Using it provides the same amount of quilting definition but in a subtle way that allows the construction of the quilt to shine. It is the perfect choice for use whenever the thread or the stitching needs to camouflage or to be absolutely invisible. Aurifil Designer Felice Regina used it to quilt her Tula Nova quilt, which was on display in our booth at Quilt Market last year. The quilt itself is a stunner with a gorgeous EPP construction that highlights the burst of color found within the prints of her Caturday fabric line. 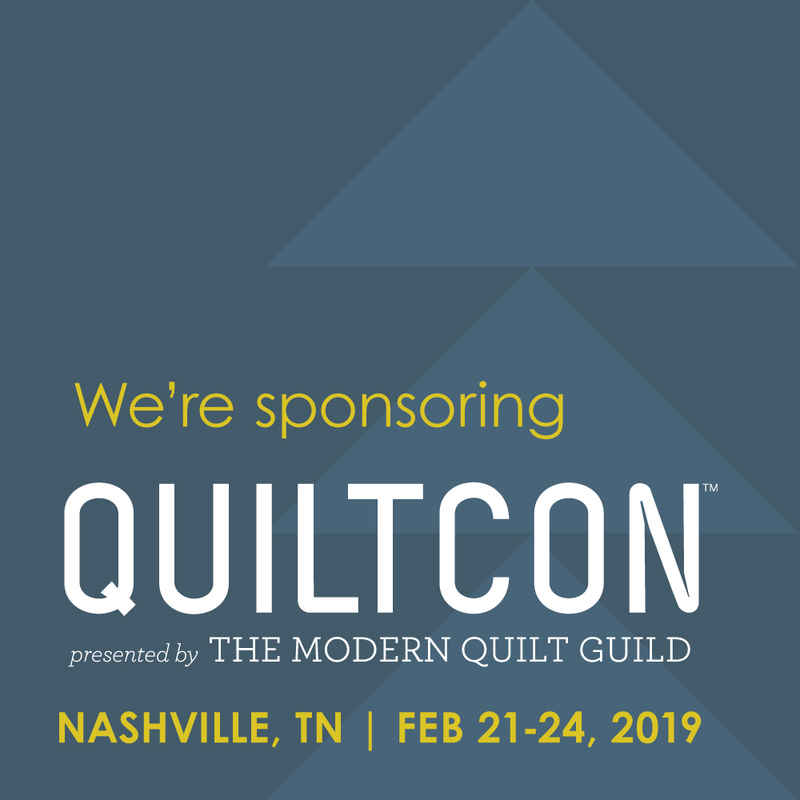 When it came to quilting, the monofilament was perfect… used in a custom quilt design, it adds to the overall beauty, without being distracting. 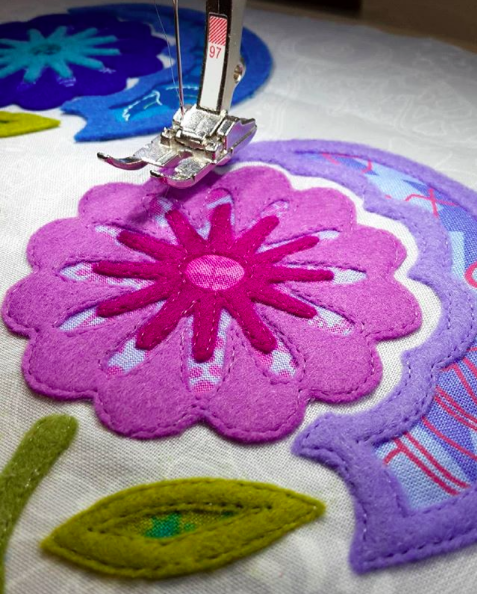 Felice also used the Monofilament on her Appliqué Minis — we absolutely love these! She used it in her Family Estate Quilt, with fabrics from Blackbird Designs and a pattern by Laundry Basket Quilts/Edyta Sitar. It was the perfect solution for quilting the borders! Pattern by Edyta Sitar (Friendship Strips and Scraps, Landauer Publishing, LLC, December 1, 2010.) Click here for more info. She also used it in two stunning appliqué projects, the Subtle Tree (project available right here on Auribuzz) and Great Blue. In both cases, Karen created her appliqué pieces using thread painting and didn’t want to detract from the design — the monofilament was the perfect choice! Karen’s Subtle Sampler collection, released with Aurifil last year, includes spools of both the clear and the smoke monofilament! Sarah Thomas of SARIDITTY & Sariella also loves using the monofilment in her projects. Her Sariella collection, released along with her partner Nicole Young of Lilyella, includes a spool of the clear monofilament. She says it’s the ‘ONLY monofilament quilting thread I’ll use and I adore how it stitches with the longarm.” Sarah she works it in wherever she can! It was appliquéd with Aurifil 40wt and quilted with the clear monofilament. Sneak Peek Pineappliqué by Sarah Thomas! 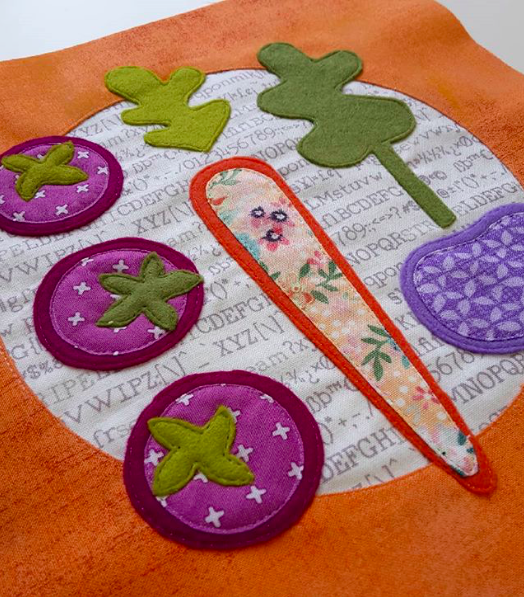 We recently spotted our monofilament in use for wool applique and absolutely LOVE how it looks. Allison of Campbell Soup Diary uses it in almost all of her apliqué projects. It helps the rich tones to pop while adding extra definition to the edges. If you haven’t seen Allison’s work before, make sure to check out her recently released Home Sweet Home Appliqué Sampler — so sweet! What do you think of our Monofilament? Have you used it in a project? If you’re curious, head on over to your local quilt shop and grab a spool! Stretch those creative muscles and try something new, like Allison’s Felt Appliqué + Kraft Paper project below! Thanks for reading!! We’ll see you next month:). How does the Aurifil Monofilament Invisible Thread hold up long term? Just curious, because I made a quilt about 30 years ago (my first quilt) and used a monofilament thread. Over time, the thread starting cracking and turning yellow. I’ve never used it. How does it hold up to pressing? It holds up like a dream under pressing, Beth. I have heard quilters complain about cheap brands melting, but I ALWAYS iron over my project after it’s finished and I’ve never had any problems – the Auriful monofilament is the only brand that goes in my machine! Really great tips! So important to know before sewing with invisible thread – thanks for including me! I’ve used clear Aurifil monofilament thread in 2 of my home sewing machines for over 2 years now with no problems. I use it both in the needle and bobbin. It’s a great time and money saver as I don’t have to purchase different thread colors and change threads when quilting. My customers love knowing an item is quilted in a subtle way letting the quilt colors stand out. I am a fibre artist who usually stitches at Mach 4 most of the time while I am thread painting. I use Aurifil monofilament in my bobbin because, even though it is a slick thread, it tends to feed a little tighter. I love it because it tends to pull the top thread ever so slightly toward the bottom. Even if there is a blip and the top thread yanks the bottom thread up, because the monofilament is invisible, it is not noticed in the finished piece and I don’t have to change my bobbin thread when I change the colours of the top thread. Some of my thread paintings have upwards of 50 different colours so not having to change the bobbin colour each time is a bonus. I always wind it on my machine but only at about medium speed. Winding monofilament on the bobbin at top speed can snap plastic bobbins in half. Ask me how I know. I also use Aurifil monofilament when hand stitching beads onto fabric. I just have to remember to tie a double know behind the eye of the needle to prevent it from pulling out of the needle. It is strong, durable and does not melt when pressed. I also carry it in my travel kit to hand piece mini hexagons while waiting at medical/dental appointments. It gives a lovely soft quilted look when you want to showcase the texture and not the thread in a quilted piece. Well, thanks for all the information! 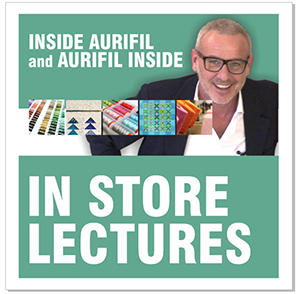 I reckon that I too, will be buying Aurifil now! Thanks for clearing up my question re: nylon vs polyester monofilament thread—-now, I won’t have to wonder—just use Aurifil!